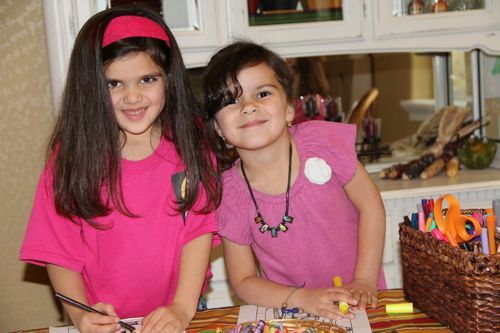 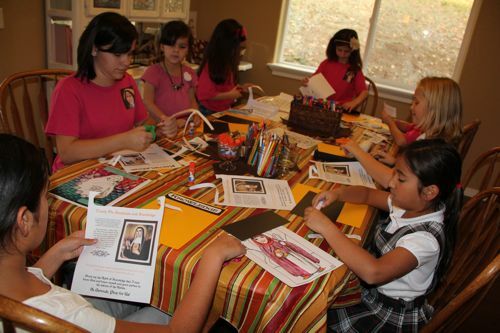 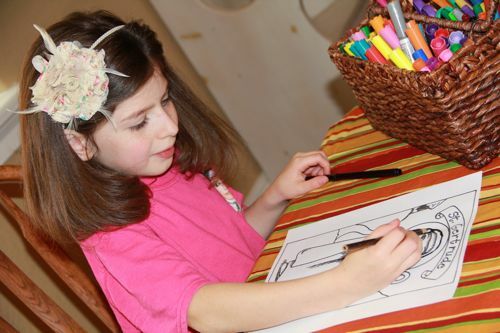 This past Thursday we had our 3rd Little Flowers Girls' Club meeting for Wreath IV. I was very happy that all eight of the girls were able to make it this month, even though I wasn't able to put too much effort into preparing... Thankfully I did most of that a couple months ago, so there wasn't much that needed to be done prior to the meeting. 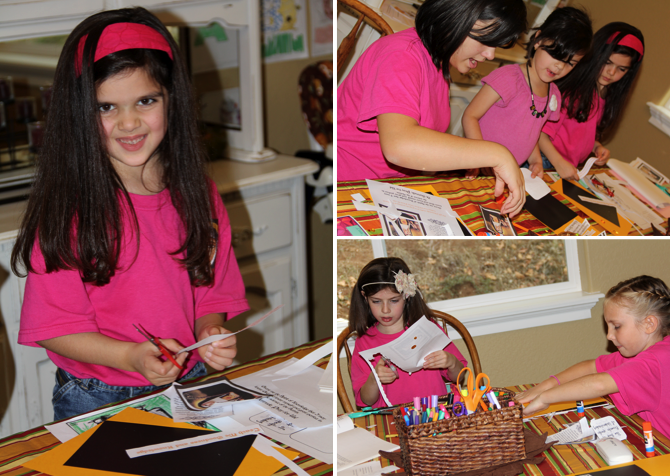 Amy also came a little early, bringing along Lily to help! We had a short lesson on the gift of Knowledge and St. Gertrude, and then continued our lesson by reviewing our Lap Book mini-books from last month, and then working on the new additions for the gift of Knowledge. 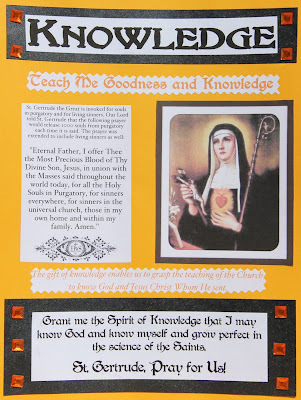 For the notebook pages, I used the motto for knowledge, a prayer which Our Lord told St. Gertrude would release 1,000 souls from Purgatory every time it is said, an image of St. Gertrude, a definition on the gift of Knowledge from My Catholic Faith, and acrylic gemstones in topaz. 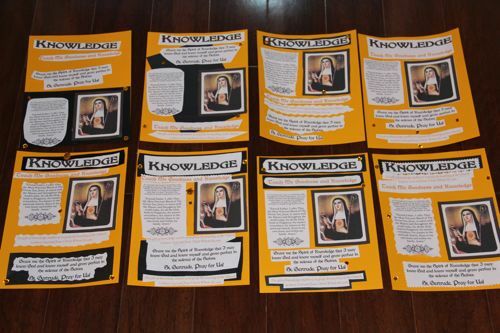 You can download my document here. 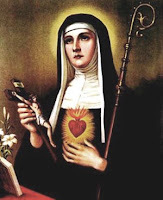 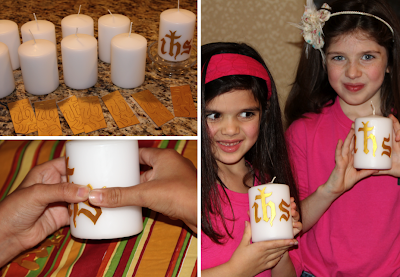 Incorporating the IHS symbol, which is part of the symbol for St. Gertrude, we will be decorating candles for our 3rd Meeting for Wreath IV of our Little Flowers Girls' Club. 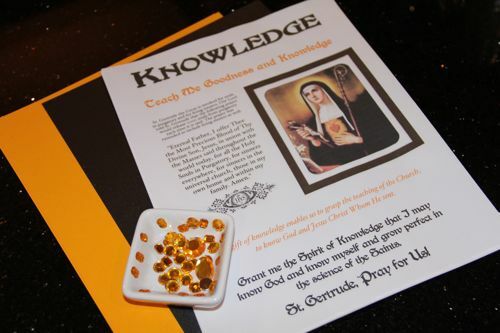 This meeting focuses on the Gift of Knowledge, St. Gertrude, the gemstone Topaz, as well as the symbol of "Fire" making this a perfect craft for this meeting! 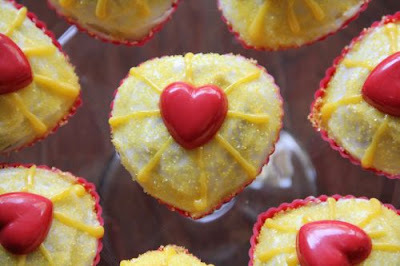 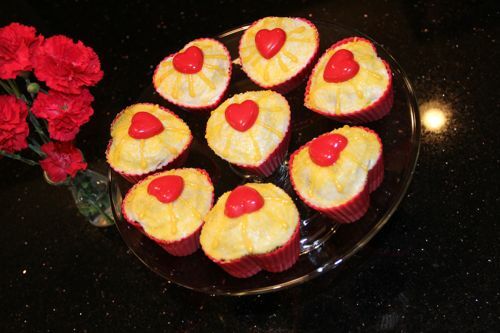 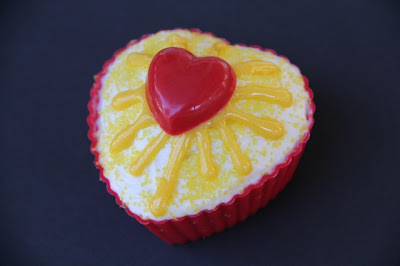 Chocolate Cupcakes (baked in Heart Shaped Silicone Cups), topped with White Frosting, yellow sprinkles, yellow gel rays, and a red Candy Heart (made with the Wilton Hearts Candy Mold). Since our meetings are now held in the late afternoon/evening, one of the moms volunteered to bring pizza, and we will rotate turns for the remaining 4 meetings. 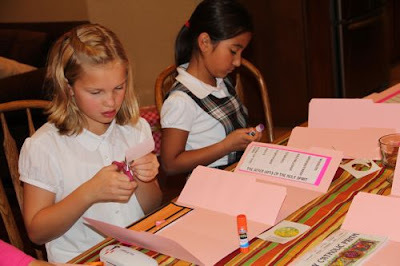 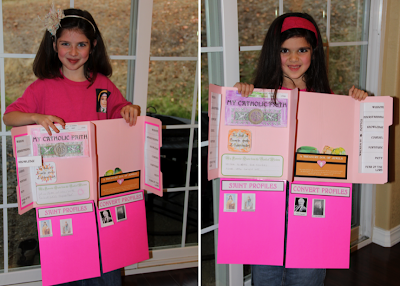 A few of the girls had to leave early for a Veteran's Day Presentation at their school, but for those that were able to stay, Lily had prepared a fun little lesson on St. Gertrude, Knowledge, and ended with a fun game of Trivia! I was very grateful for all of her help! 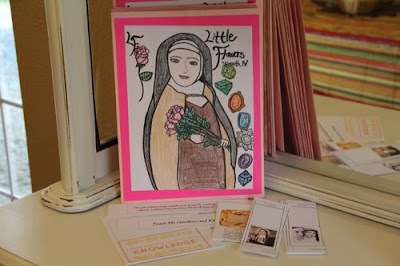 Be sure to check the Shower of Roses Little Flowers Girls' Club link-up during the next few weeks, as all of the girls that are "joining" our group online/at home share pictures from their meetings for this year! 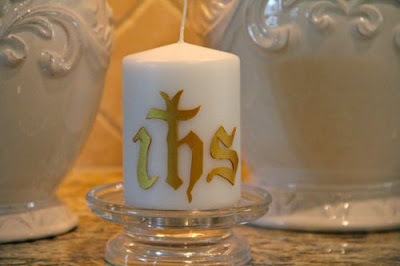 *Please Note: Rather than posting separate link-ups each month, to simplify things for myself and all those participating, I have combined them all into one post! You can find the Little Flower Link-ups here and the Blue Knight Link-ups here, or just click on either of the Buttons in the right sidebar. Grant me the Spirit of Knowledge that I may know God and know myself and grow in the science of the Saints.